The hope is that the expanded Greene County Animal Control space will allow animals to be adopted faster. The building project expanded services at Greene County Animal Control and Greene County Services. Dr. Harold Brown, Greene County Animal Control director, stands in front of the completed building expansion. XENIA — A $707,000 Greene County building expansion is set to officially open Friday. The expansion of the county’s animal control and services complex, which is located off Dayton-Xenia Road in Xenia, added about 5,400 square feet of space to the county’s old building. According to Greene County information, the 12-month expansion project was paid for through about $544,000 of dog tag funds for the animal control side and about $163,000 from the county’s general fund for county services portion. The project added an enclosed garage, a front reception area, an office area and a multi-purpose room to the Greene County Animal Control side, which allow for some of the agency’s old offices to be turned into a three-room surgery suite. The suite will include a grooming and preparation area, a supply and laboratory room and a surgery room, which will house equipment purchased with a Dayton Foundation grant. While the project didn’t expand the agency’s animal capacity, according to its director, Dr. Harold Brown, the hope is that the expanded space will allow animals to be adopted faster, as well as for more individuals to be able to keep their animals, through educational programs that could be hosted at the facility. The Greene County Services side of the project added a front reception area, administrative offices and a break area. 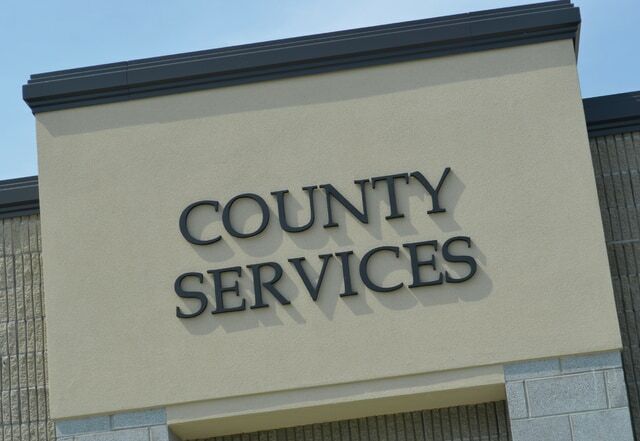 County services maintains county-owned buildings and vehicles. The facility will officially open with a ribbon-cutting ceremony Friday. The public is invited to tour the Greene County Animal Control side of the expansion Saturday, June 20, from 10 a.m. to 4 p.m. at 641 Dayton-Xenia Road, Xenia. For more information on the open house call 937-562-7400.